The Honorable Michelle K. Lee served as the Under Secretary of Commerce for Intellectual Property and Director of the U.S. Patent and Trademark Office (USPTO) from 2015 to 2017. Ms. Lee was appointed by President Obama and unanimously confirmed by the U.S. Senate. She served as the principal advisor to the President, through the Secretary of Commerce, on domestic and international intellectual property matters, and as a trial judge on the USPTO’s Patent Trial and Appeal Board, an administrative tribunal that resolves certain patent disputes. 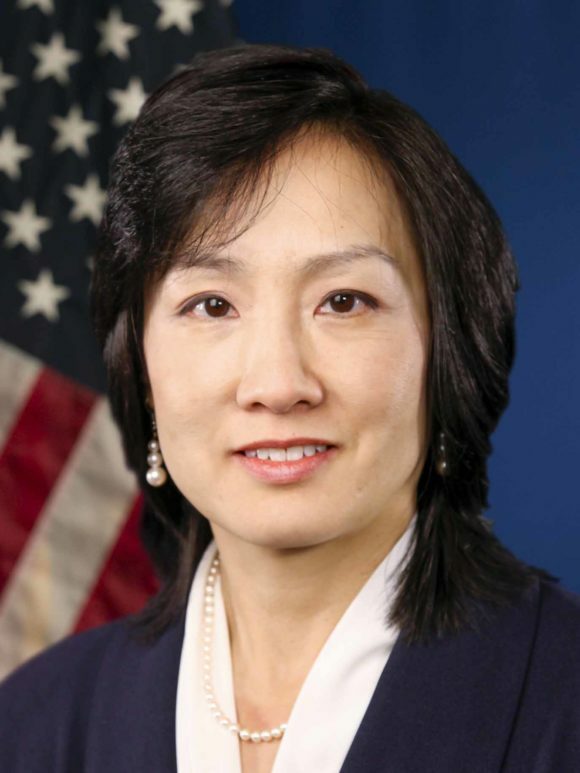 During Ms. Lee’s 3.5 year tenure as head of the USPTO, she and her team helped achieve the passage of the Defend Trade Secrets Act of 2016, and handled numerous intellectual property and administrative law matters before the U.S. Court of Appeals for the Federal Circuit and the U.S. Supreme Court. Ms. Lee has also testified before Congress (the House and Senate Judiciary Committees) multiple times based upon her expertise on intellectual property. Prior to the USPTO, Ms. Lee was Deputy General Counsel and Head of Patents and Patent Strategy at Google, responsible for Google’s worldwide patent matters. During her tenure at the company from 2003 to 2012, she oversaw and worked on the resolution of many patent disputes (pre-litigation and litigation), as well as mediations and settlements of litigations in district and appellate courts and administrative tribunals. Ms. Lee served as a partner at Fenwick & West, where from 1996 to 2003, she represented a wide range of technology clients on intellectual property, licensing, and contract matters as well as litigations and settlements of intellectual property disputes. Before that, she was a general civil litigator at the trial boutique law firm of Keker & Van Nest and handled contract, securities and intellectual property cases. Prior to her legal career, Ms. Lee worked as a computer scientist at the M.I.T. Artificial Intelligence and Hewlett-Packard Research Laboratories. Through her various roles in her 25+ year career as a technologist, in private practice and in-house, Ms. Lee has written, filed for, bought, sold, licensed and asserted patents and defended against patent infringement on behalf of clients across the technology spectrum. She is technology and business savvy, and has formulated, structured and negotiated many business deals and settled numerous intellectual property, commercial disputes. She understands how to find value for both sides to achieve mutually beneficial business terms acceptable to corporate boards and executive management teams in settlements of litigations.